I love courgette flowers and normally have them in abundance over the summer. Infact the main reason I grow courgettes are for the flowers, which are so fabulous in tempura. 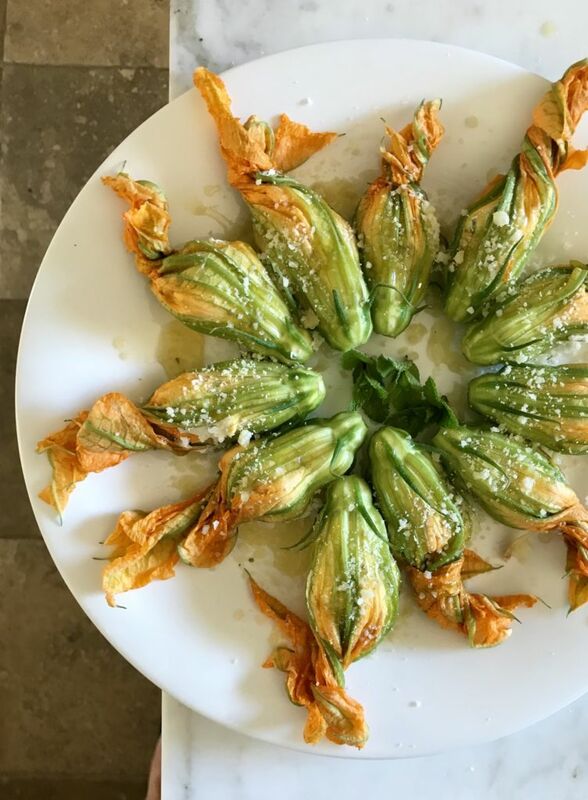 check out my Crispy Courgette Flowers; ‘Zucchini Fritti’ . It’s a bit early to be picking my courgette flowers which are still just tiny weeny buds in the greenhouse. 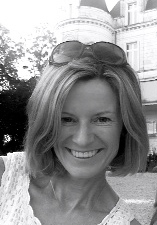 However they are starting to come into the markets and good green grocers now, so it’s well worth looking out. 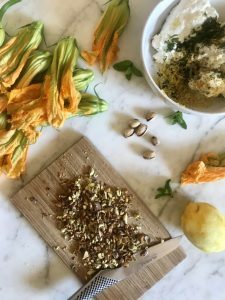 I usually make ‘zucchini fritti’ which my family adore, but last week whilst on a whistle stop trip to Rome I ate some raw. 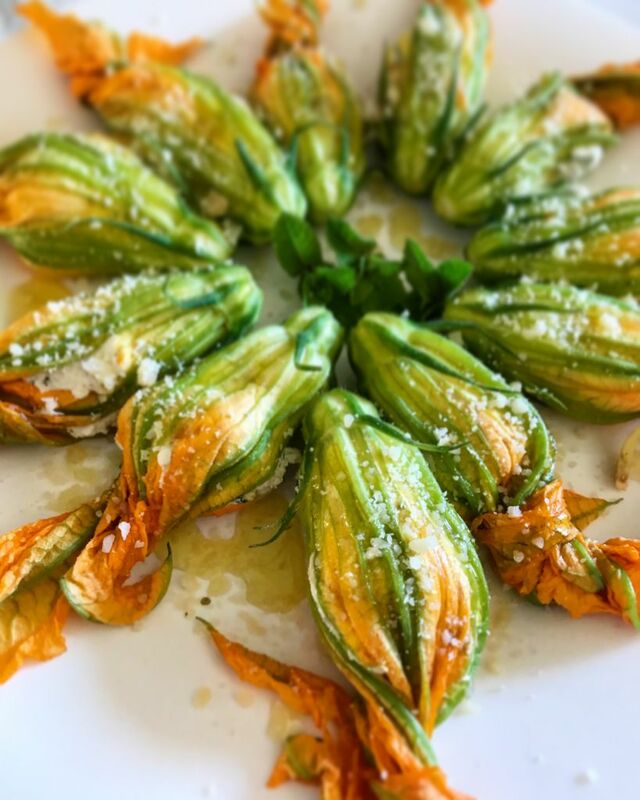 These delicate little flowers were stuffed with ricotta and nuts and tasted absolutely devine. They tasted so good that I have now recreated my own version here. Place the ricotta, mint and chopped pistachio in a bowl. Add the lemon zest and season with salt and pepper. Take one of the courgette flowers and carefully unwrap the petals to reveal the stamen. Take a teaspoonful of the ricotta and placer it inside the flower then carefully twist the petals around so that the stuffing is in cased. Repeat with the remaining flowers. Place the flowers on a plate and drizzle a little olive oil over and sprinkle with grated Parmesan and serve.